Dr. Elise Toohill is a veterinarian since 2018 with Carthage Veterinary Service, located in Illinois. 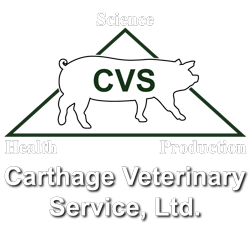 Ten veterinarians at Carthage Veterinary Service, Ltd. provide consulting to independent swine producers and production systems throughout the United States, the Americas, and Asia. The practice has an active research division, Carthage Innovative Swine Solutions (CISS), which has published findings from health and nutrition trials that are implemented throughout the industry today. Carthage Veterinary Service also has a mixed animal division serviced by four veterinarians. 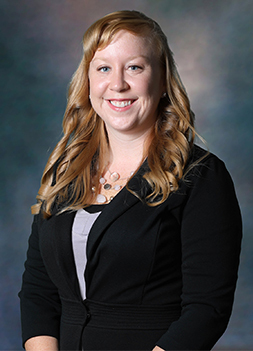 Dr. Toohill completed her bachelor’s degree in animal sciences with a pre-veterinary medicine emphasis from the University of Minnesota and D.V.M. from the University Of Minnesota College Of Veterinary Medicine. Prior to working at Carthage Veterinary Service, Dr. Toohill served as the Associate Director of Health and oversaw the health services program of one region of 55,000 sows farrow to finish. Dr. Toohill is based in Lancaster, MO providing service to producers in Missouri, Iowa and Illinois. Dr. Toohill is certified through the National Pork Board’s Pork Quality Assurance Plus and Transport Quality Assurance Programs. She is a member of the American Association of Swine Veterinarians and Operation Main Street Speaker.